Due to oversized package, street address shipping only, no PO Box. Simple : Just 3 buttons to access all functions. The motor automatically adjusts it's power for each task. A recipe book full of ideas is supplied with each machine. Blade safe storage box provides compact storage for main blades, whisks & discs. 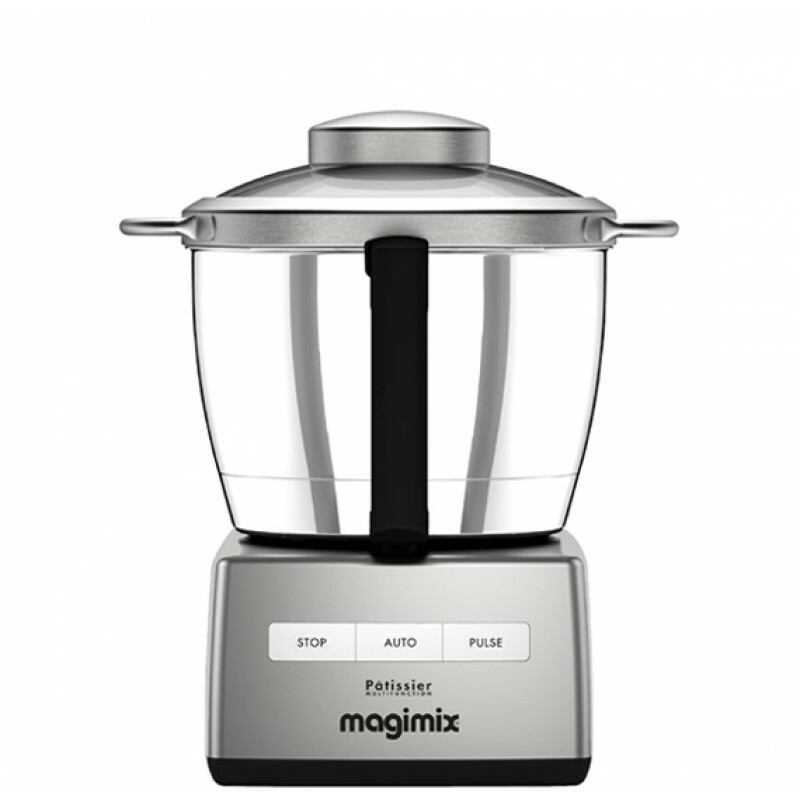 Robust : All Magimix food processors are manufactured in France and equipped with a powerful, ultra quiet induction motor that bears a 30 year* warranty. Serrated Sabatier stainless steel blades are also made in France and stay sharper for longer. Heavy Duty Dough / Pastry Blade : Used with the stainless steel bowl, the dough/pastry blade is perfect for kneading bread or pastry dough in less than 1 minute. Whisk : The whisk attachment is perfect for getting fluffy egg whites (up to 12 eggs) for mousse, merigue, macarons. It can also whip cream effortlessly for that professional result. Blender Mix : Fitted with the master blade, the Blender Mix converts your food processor into a blender. By changing the flow of the ingredients, this simple tool adds yet another function to your Magimix. Dicing Kit : Magimix innovation now allows you to dice. The first of it's kind on the market, the dicing kit can be used to make cubes out of just about anything from onions to potatoes to carrots and much more. Leave the Magimix off and use it as a kit for French Fries! Master Blade : This multipurpose metal master blade is ideal for doing a host of things. From mincing meat, crushing ice, pureeing soups and much more. Made from Sabatier steel, the master blade will help you achieve professional results everytime. Juice Exractor Kit : Convert your Patissier into a juicer with the Juice Extractor kit. Juice any vegetable for healthy drinks without additives. It is also great for berries and cooked vegetables. The removeable ring allows for easy cleaning. Citrus Press : You can also convert your Patissier into a Citrus Press. Just pop the included attachment on the main bowl and you are ready to juice oranges, limes, lemons and any other citrus fruit. Slicing Grating : Your Patissier comes with 2 slicing and 2 grating discs. Ideal for slicing and grating any fruit or vegetable with ease.